Last Monday at the Movies returns for its 15th season on Monday, September 26. 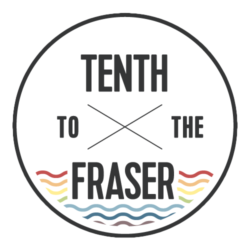 The Arts Council of New Westminster hosts this popular movie series in partnership with Massey Theatre and the Toronto International Film Festival’s Film Circuit program. Film buffs can enjoy a great selection of Canadian and international films on the last Monday of each month. The new season is off to a great start. Catch the critically acclaimed film The Man Who Knew Infinity. 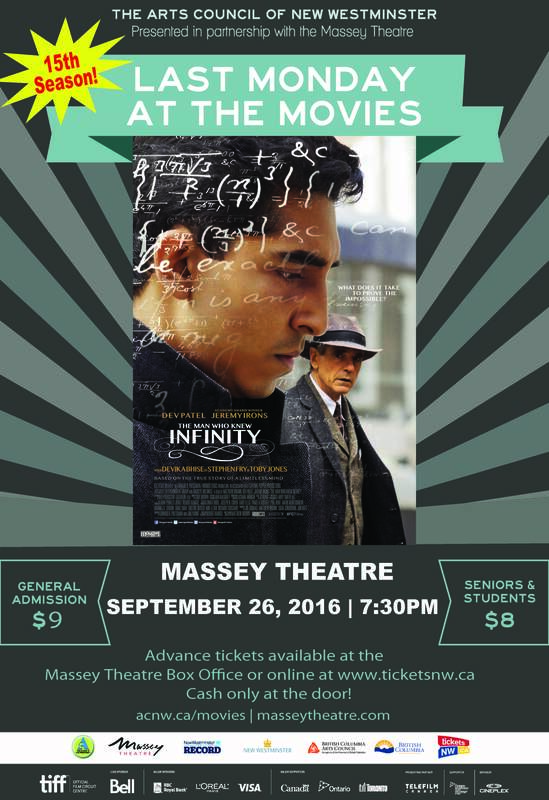 Written and directed by Matthew Brown, The Man Who Knew Infinity is based on the true story of Srinivasa Ramanujan (played by Dev Patel), a self-taught Indian mathematics genius who travels to Trinity College, Cambridge before the First World War, where he forges a bond with his mentor, the eccentric professor G.H. Hardy (Jeremy Irons). Add a little film culture to your Monday evening–without having to leave the city! Tickets: Single tickets are $9, or $8 for seniors and students. Season’s passes are also offered for the whole film series at a cost of $65, or $60 for seniors and students. Tickets will be available through www.ticketsnw.ca, or cash only at the door.